Grandmaster Liming Yue originally began the study of Shaolin martial arts as a child in China in 1972. Eleven years later, amazed by the skills of a young student from the famous village of Chenjiagou he began his journey to understand the internal arts by studying orthodox Chen Style Tai Chi under the 11th Generation Chen Masters in the village. Grandmaster Liming Yue has been accepted as a Disciple of Grandmaster Chen Zhenglei in 1998 and achieved 7th Duan Wei Grandmaster officially awarded by China National Wushu Association in 2004. 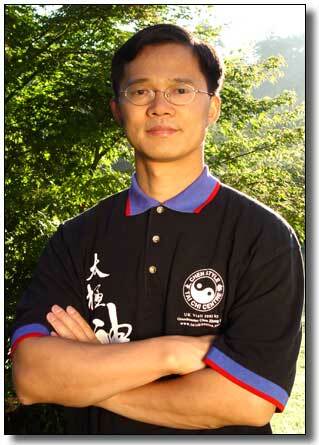 He holds the Head Judge on Chen Style Tai Chi and Honorary Vice-Chairman of Tai Chi Union for Great Britain. He has also been awarded a title of the 'World Tai Chi Promotion Ambassador' by Chenjiagou Tai Chi village and local government authority in China in 2009, due to his great contribution and achievement to Chen Style Tai Chi. Having learnt from the most skillful and experienced Tai Chi masters in China and having extensively studied Internal Qigong with masters from the monastery on Nanyue Mountain and Zhangjiajie Forest Park, Grandmaster Yue moved from mainland China to the United Kingdom and founded the Chen Style Tai Chi Centre in 1995. Since 1982, Grandmaster Liming Yue has helped many students to begin a journey of their own and he now spends his time teaching seminars and training instructors throughout Europe, and producing instructional Books, DVDs and Videos. Through his teaching, Grandmaster Yue has helped to develop a deeper understanding of the principles and philosophy of Tai Chi that is accessible and valuable to all students and scholars. In addition to his work for the Centre Grandmaster Liming Yue also teaches Tai Chi skills for Medical School of University of Leeds, companies, schools and previously as a part time lecturer for the University of Salford. Recently, Grandmaster Liming Yue has started to promote Chinese Health Qigong exercises and co-operate with China Health Qigong Federation worldwide.